When deciding on the right type of window covering to choose, consumers should consider what function they want them to perform. Functions, such as light control and insulation, are especially important to consumers living in sunny Sarasota, Florida. Some consumers are more concerned with privacy than saving energy. It is always wise to consider how you want your window coverings to function before deciding which to purchase. 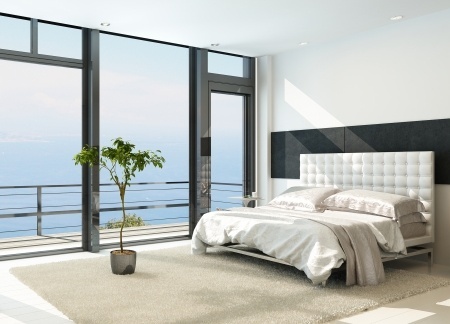 How a window covering performs is more important than what the window coverings look like, although they will also undoubtedly make your room look stunning. One of the main purposes of any window covering is to control the amount of light coming into a room. Depending on the use of the room and the preferences of the consumer, there may be a need to either completely block light out, adjust the light, or diffuse the light. Shades are the best choice for a complete blackout of light. They are made to fit in your window and they are solid material, there is little room for light to escape. Plantation Shutters, however, offer more control variations than others due to their large moveable louvers. They do not completely block out the light but give more control to adjust the light level. As the louvers are angled at different degrees, light can be directed and blocked. When fully closed, light can be greatly reduced. Fabrics or sheers can be used along with blinds to create a light diffusion affect. Diffusing light in a room can create a soft glow that takes the harsh light down without removing it, reducing the need for artificial light in the room. This will not only create a beautiful atmosphere in the room, but will also add to privacy. Having privacy while still letting light in the room is one function that most window covering consumers are looking for. Blinds and shutters are an excellent choice because they are adjustable, depending on the angle and light, to give varied levels of privacy. The wide louver design on Plantation Shutters are especially private because the width makes it difficult to see in the room from the outside. One of the most practical benefits of window coverings is their ability to insulate the windows. Consumers living in the Southern Region of the United States, especially Southwest Florida, need to block the heat from coming into the room as much as possible. Standard shades are often thin and, although they block most of the light, they are not the best insulators. Cellular Shades are specifically designed to insulate windows because of the air pocket built into the shade, so they are a good option for consumers in hot climates. Plantation Shutters are also a great insulating window covering because of their thickness. Before choosing which is right for you, it is important to consider whether a window covering has functional design, and is made with quality materials, and good craftsmanship. This will help you determine if it will provide you with the function and performance you need.